Effective (future) Human-AI interaction must take into account a context specific mapping between explainable-AI and human understanding. https://hci-kdd.org/wordpress/wp-content/uploads/2019/04/causability-explainability-1.jpg 539 943 Andreas Holzinger http://hci-kdd.at/wordpress/wp-content/uploads/2014/11/hci_kdd_logo_final.png Andreas Holzinger2019-04-11 11:30:032019-04-11 11:46:03Causability is important. Why? In our recent paper we define the notion of causability, which is different from explainability in that causability is a property of a person, while explainability is a property of a system! Recent advances in automatic machine learning (aML) allow solving problems without any human intervention, which is excellent in certain domains, e.g. in autonomous cars, where we want to exclude the human from the loop and want fully automatic learning. However, sometimes a human-in-the-loop can be beneficial – particularly in solving computationally hard problems. 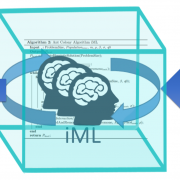 We provide new experimental insights  on how we can improve computational intelligence by complementing it with human intelligence in an interactive machine learning approach (iML). For this purpose, an Ant Colony Optimization (ACO) framework was used, because this fosters multi-agent approaches with human agents in the loop. 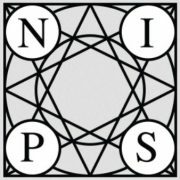 We propose unification between the human intelligence and interaction skills and the computational power of an artificial system. The ACO framework is used on a case study solving the Traveling Salesman Problem, because of its many practical implications, e.g. in the medical domain. We used ACO due to the fact that it is one of the best algorithms used in many applied intelligence problems. For the evaluation we used gamification, i.e. 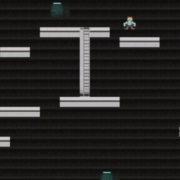 we implemented a snake-like game called Traveling Snakesman with the MAX–MIN Ant System (MMAS) in the background. We extended the MMAS–Algorithm in a way, that the human can directly interact and influence the ants. This is done by “traveling” with the snake across the graph. Each time the human travels over an ant, the current pheromone value of the edge is multiplied by 5. This manipulation has an impact on the ant’s behavior (the probability that this edge is taken by the ant increases). The results show that the humans performing one tour through the graphs have a significant impact on the shortest path found by the MMAS. Consequently, our experiment demonstrates that in our case human intelligence can positively influence machine intelligence. 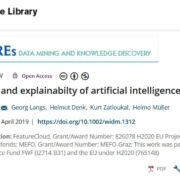 To the best of our knowledge this is the first study of this kind and it is a wonderful experimental platform for explainable AI. Holzinger, A. et al. (2018). Interactive machine learning: experimental evidence for the human in the algorithmic loop. Springer/Nature: Applied Intelligence, doi:10.1007/s10489-018-1361-5. Andreas Holzinger, Peter Kieseberg, Edgar Weippl & A Min Tjoa 2018. Current Advances, Trends and Challenges of Machine Learning and Knowledge Extraction: From Machine Learning to Explainable AI. Springer Lecture Notes in Computer Science LNCS 11015. Cham: Springer, pp. 1-8, doi:10.1007/978-3-319-99740-7_1. Randy Goebel, Ajay Chander, Katharina Holzinger, Freddy Lecue, Zeynep Akata, Simone Stumpf, Peter Kieseberg & Andreas Holzinger. Explainable AI: the new 42? Springer Lecture Notes in Computer Science LNCS 11015, 2018 Cham. Springer, 295-303, doi:10.1007/978-3-319-99740-7_21. Each paper was assigned to at least three reviewers of our international scientific committee; after review and metareview and editorial decision they carefully selected 25 papers for this volume out of 75 submissions in total, which resulted in an acceptance rate of 33 %. 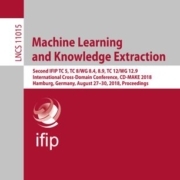 The International Cross-Domain Conference for Machine Learning and Knowledge Extraction, CD-MAKE, is a joint effort of IFIP TC 5, TC 12, IFIP WG 8.4, IFIP WG 8.9 and IFIP WG 12.9 and is held in conjunction with the International Conference on Availability, Reliability and Security (ARES). IFIP – the International Federation for Information Processing – is the leading multinational, non-governmental, apolitical organization in information and communications technologies and computer sciences, is recognized by the United Nations (UN) and was established in the year 1960 under the auspices of UNESCO as an outcome of the ﬁrst World Computer Congress held in Paris in 1959. IFIP is incorporated in Austria by decree of the Austrian Foreign Ministry (September 20, 1996, GZ 1055.170/120-I.2/96) granting IFIP the legal status of a non-governmental international organization under the Austrian Law on the Granting of Privileges to Non-Governmental International Organizations (Federal Law Gazette 1992/174). 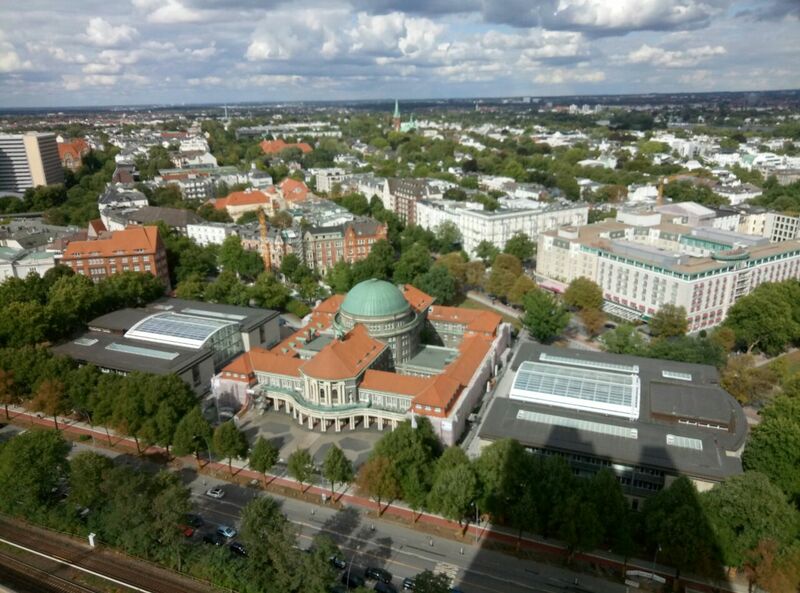 IFIP brings together more than 3,500 scientists without boundaries from both academia and industry, organized in more than 100 Working Groups (WGs) and 13 Technical Committees (TCs). CD stands for “cross-domain” and means the integration and appraisal of different ﬁelds and application domains to provide an atmosphere to foster different perspectives and opinions. The conference fosters an integrative machine learning approach, taking into account the importance of data science and visualization for the algorithmic pipeline with a strong emphasis on privacy, data protection, safety, and security. It is dedicated to offering an international platform for novel ideas and a fresh look at methodologies to put crazy ideas into business for the beneﬁt of humans. Serendipity is a desired effect and should lead to the cross-fertilization of methodologies and the transfer of algorithmic developments. The acronym MAKE stands for “MAchine Learning and Knowledge Extraction,” a ﬁeld that, while quite old in its fundamentals, has just recently begun to thrive based on both the novel developments in the algorithmic area and the availability of big data and vast computing resources at a comparatively low price. Machine learning studies algorithms that can learn from data to gain knowledge from experience and to generate decisions and predictions. A grand goal is to understand intelligence for the design and development of algorithms that work autonomously (ideally without a human-in-the-loop) and can improve their learning behavior over time. The challenge is to discover relevant structural and/or temporal patterns (“knowledge”) in data, which are often hidden in arbitrarily high-dimensional spaces, and thus simply not accessible to humans. Machine learning as a branch of artiﬁcial intelligence is currently undergoing a kind of Cambrian explosion and is the fastest growing ﬁeld in computer science today. There are many application domains, e.g., smart health, smart factory (Industry 4.0), etc. with many use cases from our daily lives, e.g., recommender systems, speech recognition, autonomous driving, etc. The grand challenges lie in sense-making, in context-understanding, and in decisionmaking under uncertainty. Our real world is full of uncertainties and probabilistic inference had an enormous inﬂuence on artiﬁcial intelligence generally and statistical learning speciﬁcally. Inverse probability allows us to infer unknowns, to learn from data, and to make predictions to support decision-making. Whether in social networks, recommender systems, health, or Industry 4.0 applications, the increasingly complex data sets require efﬁcient, useful, and useable solutions for knowledge discovery and knowledge extraction. The group around Tom GRIFFITHS *) from the Cognitive Science Lab at Berkeley recently asked in their paper by Rachit Dubey, Pulkit Agrawal, Deepak Pathak, Thomas L. Griffiths & Alexei A. Efros 2018. Investigating Human Priors for Playing Video Games. arXiv:1802.10217: “What makes humans so good at solving seemingly complex video games?”. (Spoiler short answer in advance: we don’t know – but we can gradually improve our understanding on this topic). The authors did cool work on investigating the role of human priors for solving video games. On the basis of a specific game, they conducted a series of ablation-studies to quantify the importance of various priors on human performance. For this purpose they modifyied the video game environment to systematically mask different types of visual information that could be used by humans as prior data. The authors found that removal of some prior knowledge causes a drastic degradation in the speed with which human players solve the game, e.g. from 2 minutes to over 20 minutes. Their results indicate that general priors, such as the importance of objects and visual consistency, are critical for efficient game-play. *) Tom Griffiths is Professor of Psychology and Cognitive Science and is interested in developing mathematical models of higher level cognition, and understanding the formal principles that underlie human ability to solve the computational problems we face in everyday life. His current focus is on inductive problems, such as probabilistic reasoning, learning causal relationships, acquiring and using language, and inferring the structure of categories. He tries to analyze these aspects of human cognition by comparing human behavior to optimal or “rational” solutions to the underlying computational problems. 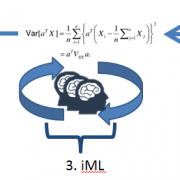 For inductive problems, this usually means exploring how ideas from artificial intelligence, machine learning, and statistics (particularly Bayesian statistics) connect to human cognition. Also the Python package can be downloaded from the site! for continuous-variable models through Markov chain Monte Carlo methods such as the No-U-Turn sampler, an adaptive form of Hamiltonian Monte Carlo sampling. Penalized maximum likelihood estimates are calculated using optimization methods such as the limited memory Broyden-Fletcher-Goldfarb-Shanno algorithm. 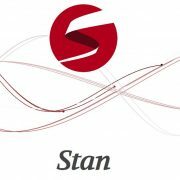 Stan is also a platform for computing log densities and their gradients and Hessians, which can be used in alternative algorithms such as variational Bayes, expectation propagation, and marginal inference using approximate integration. To this end, Stan is set up so that the densities, gradients, and Hessians, along with intermediate quantities of the algorithm such as acceptance probabilities, are easily accessible. Stan can be called from the command line using the cmdstan package, through R using the rstan package, and through Python using the pystan package. All three interfaces support sampling and optimization-based inference with diagnostics and posterior analysis. rstan and pystan also provide access to log probabilities, gradients, Hessians, parameter transforms, and specialized plotting. Congratulations from the Holzinger Group to the authors! 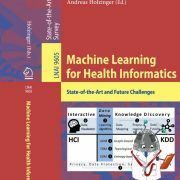 Machine learning (ML) is the fastest growing field in computer science, and Health Informatics (HI) is amongst the greatest application challenges, providing future benefits in improved medical diagnoses, disease analyses, and pharmaceutical development. However, successful ML for HI needs a concerted effort, fostering integrative research between experts ranging from diverse disciplines from data science to visualization. Tackling complex challenges needs both disciplinary excellence and cross-disciplinary networking without any boundaries. Following the HCI-KDD approach, in combining the best of two worlds, it is aimed to support human intelligence with machine intelligence.